In this episode, I discuss the rest of the story. So, seems everyone is out there telling you little stories about this or about that. Nevermind the details, because they’ve got really good stories. Stories that have stood the test of time. Okay… so maybe I’m embellishing a little. Or a lot. Whatever. Just know this, they can’t say anything that isn’t true right? I mean, it could end up on the interwebs or something. And we all know everything on the interwebs is true! Now, let’s get the rest of the story. Obama says that Islam is woven into the fabric of America. And, while yes we do have a history involving Islam, he is entirely wrong on his message. 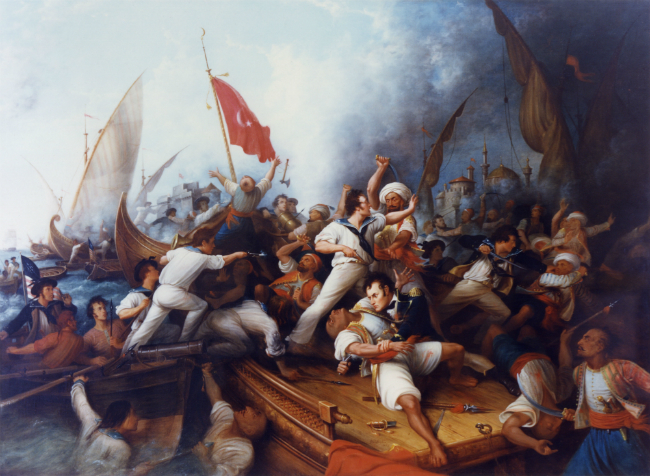 In the Marines’ Hymn, there is a line that says ‘to the shores of Tripoli.’ That line is about the first naval fight, and victory, by way of the newly formed Navy. Who were we fighting? Muslims. It’s referred to as the Barbary wars. So, sorry there Obama, but you are not right again. Also, while on the topic of messaging, CPAC2015 is in full effect. Everyone there is trying to figure out their message and what the people like and want in a presidential candidate. Because, after all, King Obama has threatened almost every Liberty we hold dear. From Obamacare to ObamaNet to banning certain rounds of ammunition, we have pretty much lost America. It’s time to take it back. To put that into context just take a second to look at Washington and how much power and control they have. A little scary huh? As usual, people too stupid to insult just can’t keep their mouths shut. Why? I don’t know. But, you would think that if you were hand picked to be the new VA Secretary, you would be an honorable person who wanted to fix the broken VA system and restore faith to veterans that they won’t continue to be lied to and taken advantage of. Right? Wrong! Just have a listen and see what he said.